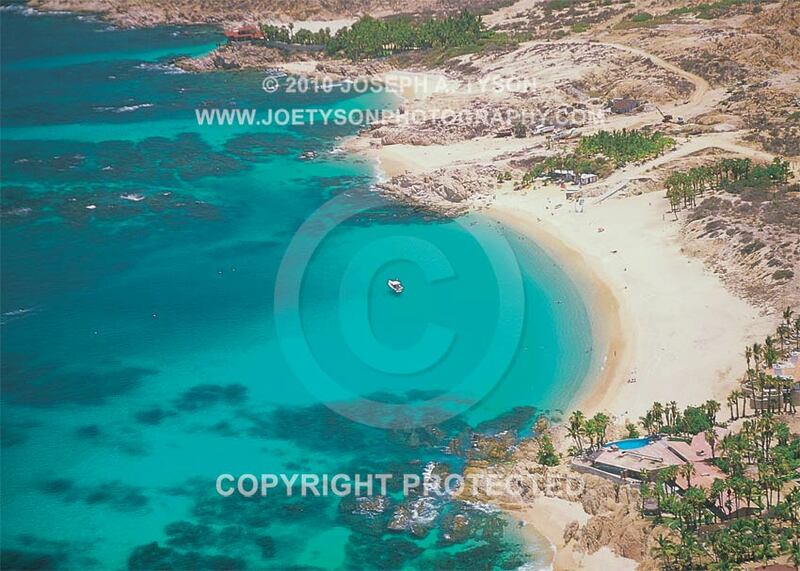 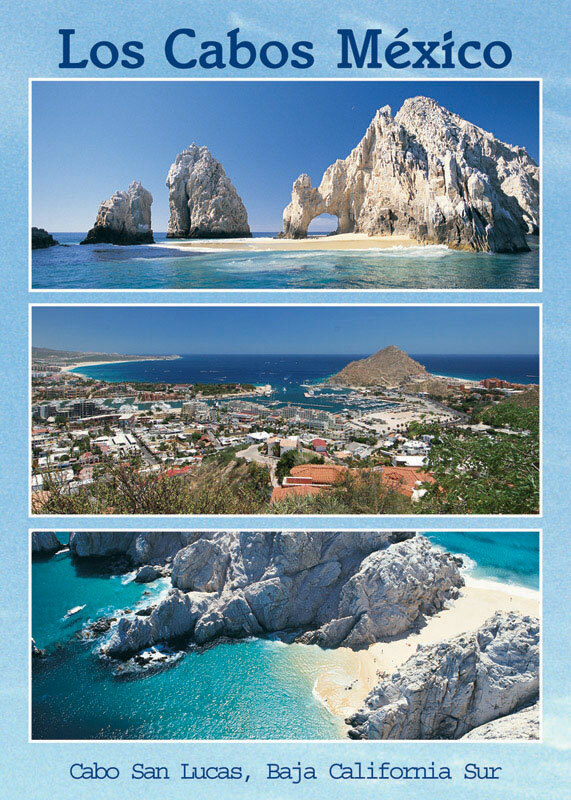 Our most popular picture post cards feature unique pictures of Cabo San Lucas, the Tourist Corridor, San José del Cabo and the Los Cabos area of Baja California Sur, Mexico. 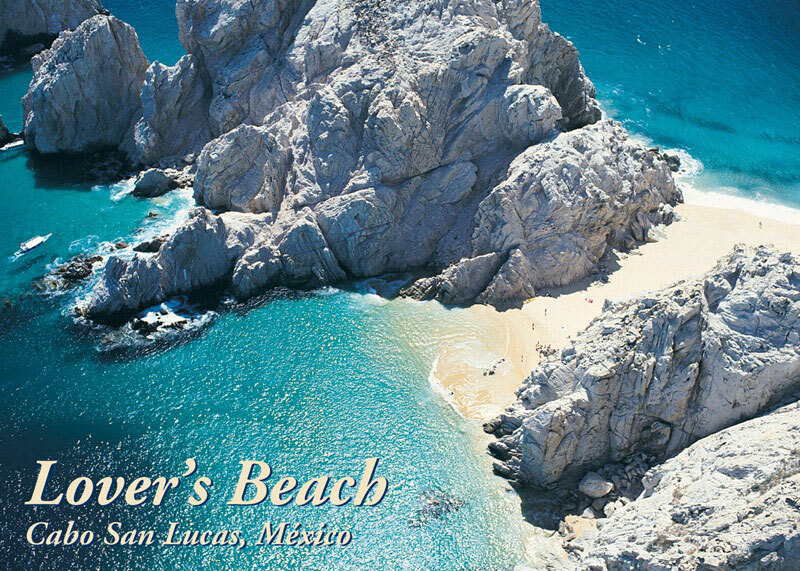 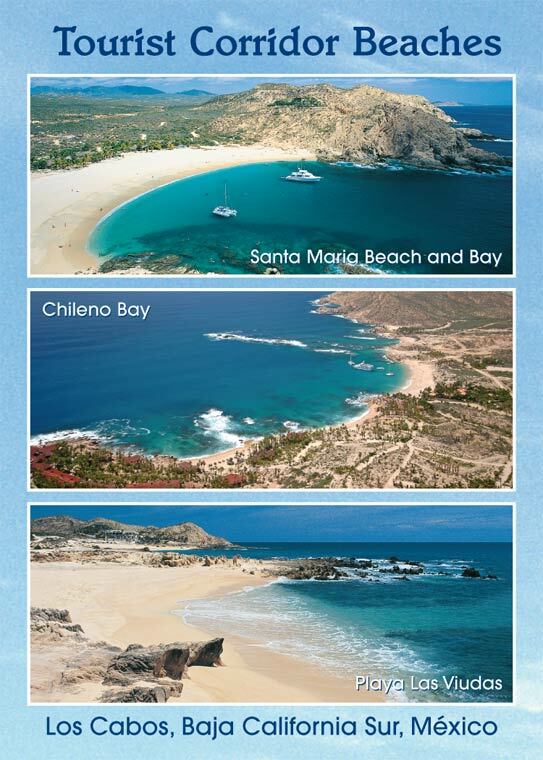 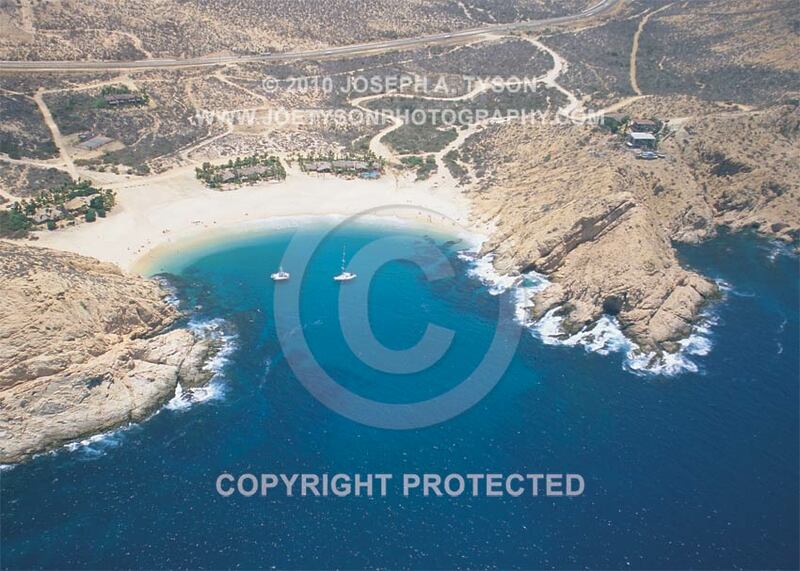 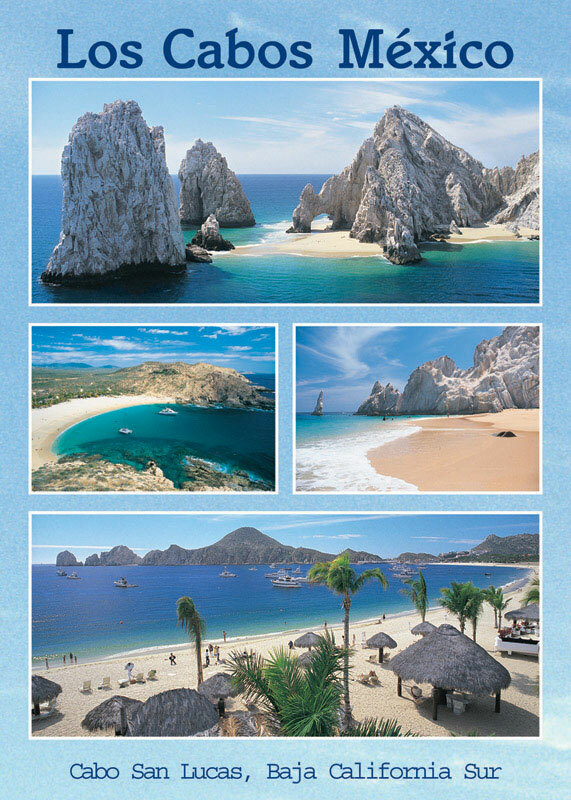 The post card on this page are in stock in Cabo San Lucas and available for sale in Los Cabos. 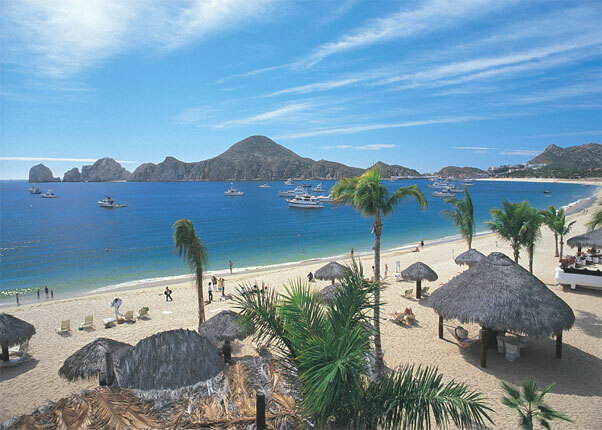 Shipments to the the USA will require extra cost for freight and importation. 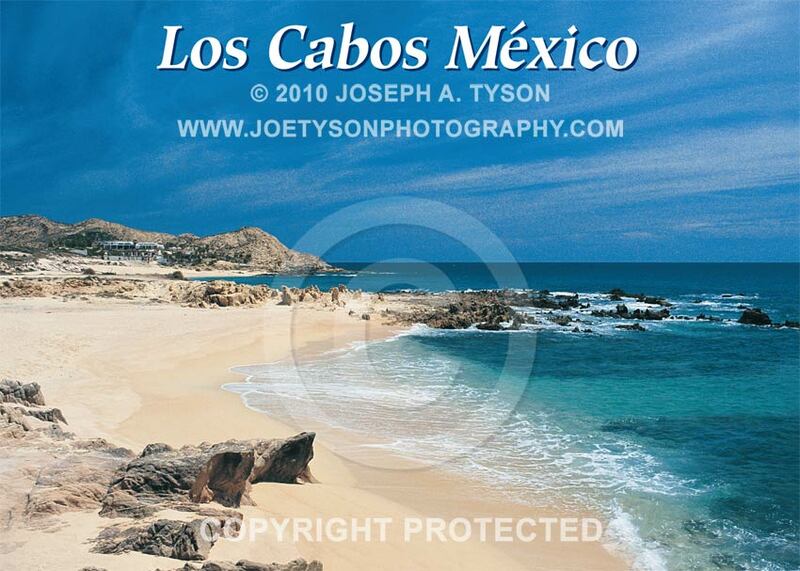 Cabo San Lucas post cards depicting the Los Cabos region of Baja California Sur, Mexico are produced by Tyson Promotions, Inc. and are available in various quantities and combinations for use in promoting travel to Los Cabos. 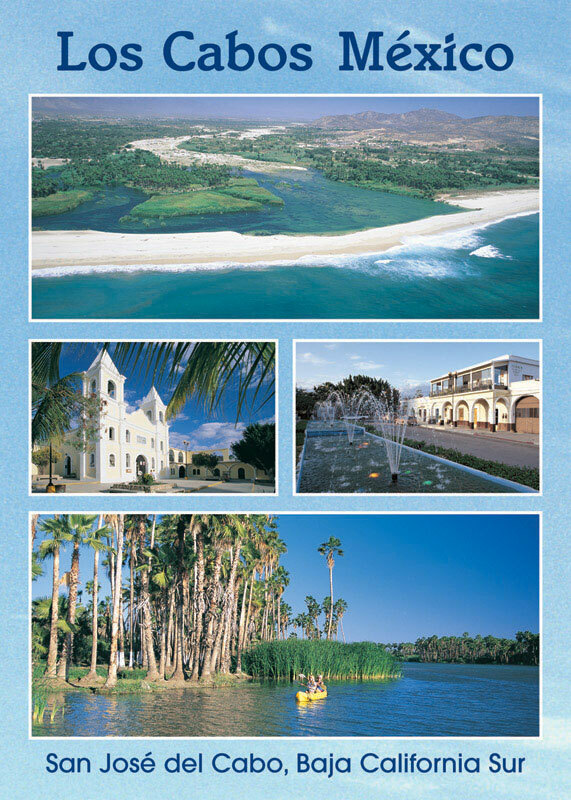 Post cards measure 5 x 7 inches and are printed on 15 pt. 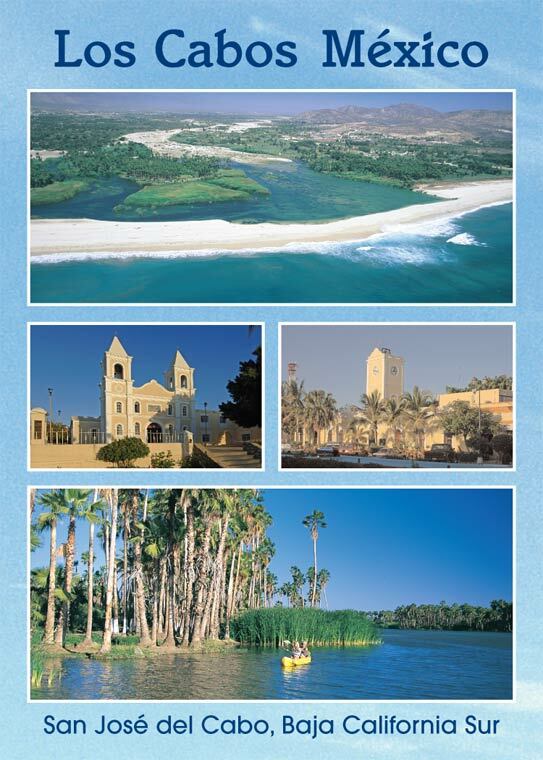 post card stock with UV coating. 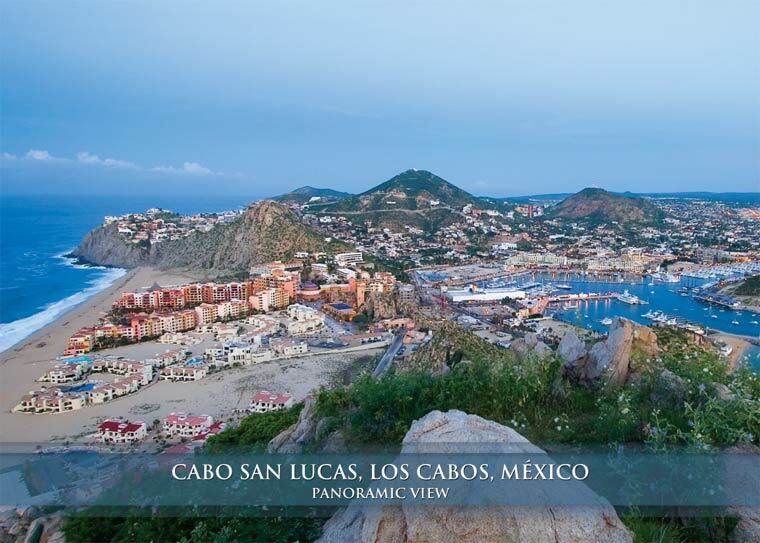 Any of the post cards are usually available from our Cabo San Lucas office. 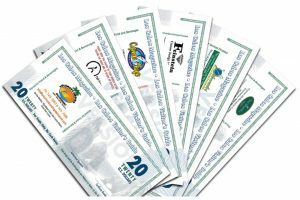 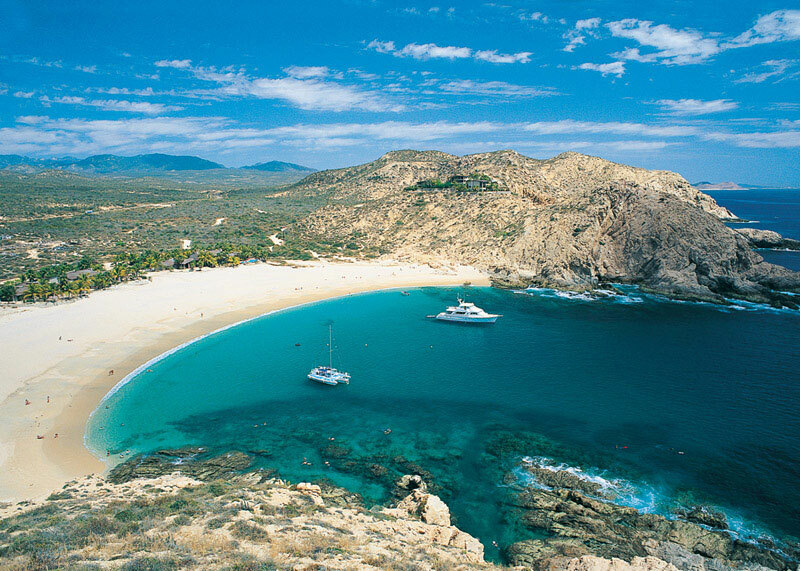 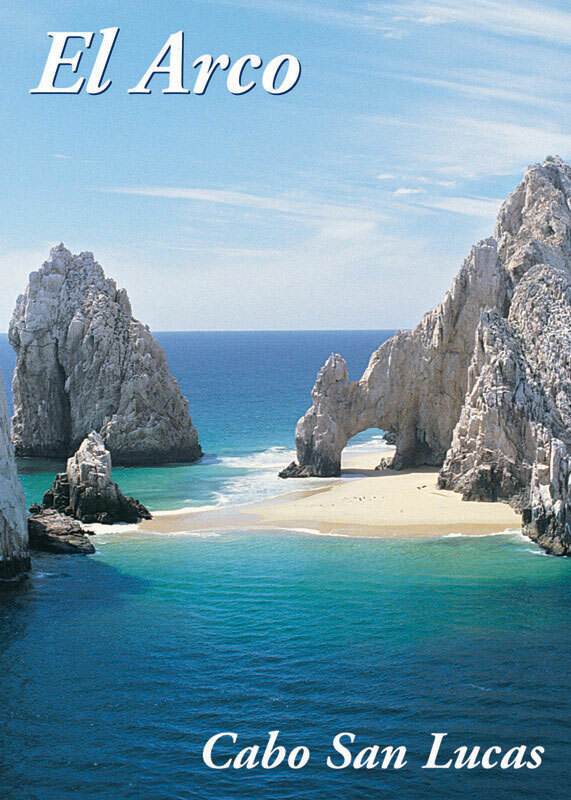 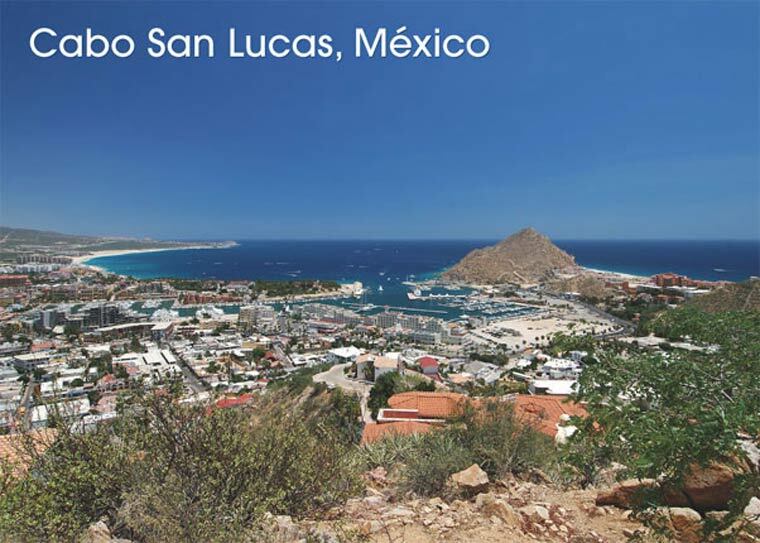 Post Cards that may need to be shipped from Cabo San Lucas will take 2 to 4 weeks for shipping and will incur additional freight and importation charges.